Kick It Out is football’s equality and inclusion organisation. Working throughout the football, educational and community sectors to challenge discrimination, encourage inclusive practices and campaign for positive change, the organisation is funded by The Football Association (FA), the Professional Footballers’ Association (PFA), the Premier League and The English Football League (EFL). A small independent charity, the ‘Let’s Kick Racism Out of Football’ campaign was established in 1993 in response to widespread calls from clubs, players and fans to tackle racist attitudes existing within the game. Kick It Out was then established as a body in 1997 as it widened out its objectives to cover all aspects of inequality and exclusion. From what I could see from the case, Kick it Out! as per usual, made a statement condemning what had happened and then went back into their box. Once that happened I went onto their site to learn that they are partly funded by the FA and I got the feeling that we, the minority, may be slightly mislead by what part we believe Kick it Out! plays in combatting discrimination in the game we love. Reading the above again its states that they are there to ‘challenge discrimination and encourage inclusive practices’. If the FA and the other bodies that fund Kick it Out! are as committed to ridding discrimination from the game I would have thought that by now Kick it Out! would have been able to impose sanctions, or at least be able to advise on sanctions for clubs, players, coaches and owners, if any wrongdoing has been suggested and very much so if the aggrieved have been able to prove discriminatory wrongdoing. Taking the Eni Aluko claims against Mark Sampson, the FA appointed Katherine Newton to lead the enquiry, but I don’t see why Kick it Out! couldn’t have a representative, qualified obviously, to shadow her on the enquiry to oversee, advise and also to give suggestions as to how the enquiry could be more effective in collating the evidence pertaining to the enquiry. As it was, the enquiry cleared Mark Sampson on the allegations, TWICE, without speaking to Eni Aluko and once they did speak to Eni and also to Drew Spence, they then concluded that not only were the remarks made and were in fact racist, but, and this was stressed by the barrister, Mark Sampson was not a racist. This carefully worded conclusion has now left Eni Aluko looking quite petty and only adds to the already vociferous and downright nasty fervour on the social media platforms I visited whilst the verdicts and information was being drip fed to the public. My belief is that if Kick it Out! 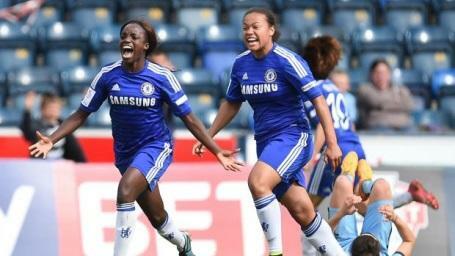 had the requisite authority to do so, they could have saved Eni Aluko appearing to be the villain when in fact she, and Drew Spence, are the victims here. This whole saga says a lot about the English FA. They appeared to want to wash their hands of this case from the moment the incidents were brought to their attention. 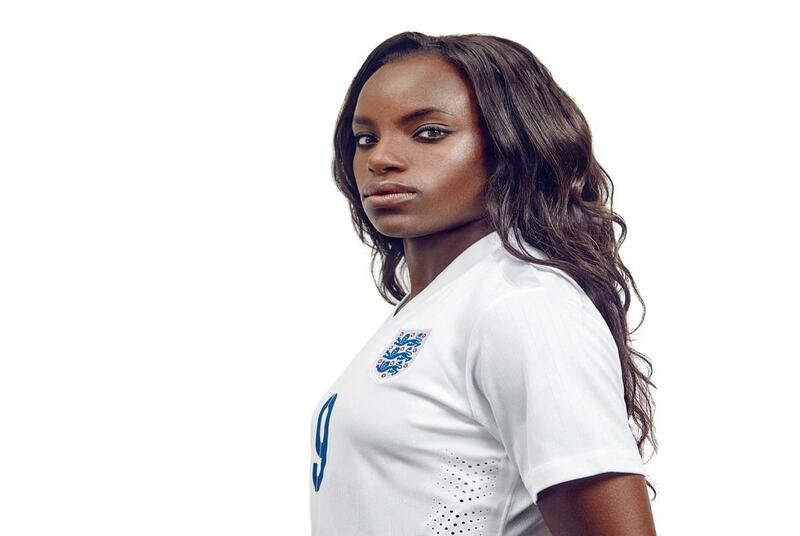 It has even been reported that Eni Aluko was offered ‘hush money’ to make a statement stating that Mark Sampson wasn’t racist and all the while Kick it Out! were only able to sit on their hands rather than put up a reasonable fight and have the people who were involved in the decision making process regarding the accusations against Mark Sampson be held accountable for their actions, or in this case inaction. I guess Kick it Out! can’t really bite one of the hands that feed them, but what is evident is that the tolerance, or even downright disregard for racist behaviour or language in European football is staggering. In June 2012, Nicklas Bendtner was fined £80k for showing part of his underpants with a gambling company on the waistband, and banned for one game while, in March 2015 Dynamo Kiev were ordered to play a game with part of their stadium closed off after a section of their fans aimed racist abuse at Everton players and were fined just under £11k for setting off fireworks. Manchester City were fined approx. £24k for returning to field of play a minute late after half time while England were also fined £35k for wearing poppies on their shirt. To me this shows how important the world of football governance sees discrimination, especially racial discrimination. I wonder what would have happened had Harry Kane and his team mates been racially abused whilst playing a game of football in a country that would see them as the minority. I wonder if it would have been swept under the carpet like so many cases against footballers with melanated skin have, or would the world’s governing body had more an interest in a case like that. I guess we will never know as I have never seen or heard of anything but respect for the professional football players playing abroad. It’s only a certain type of player that is targeted and I guess there are no representatives of that type of player in the upper echelons of the European governing bodies to make a real difference. An organisation, like Kick it Out!, needs to be put together that has similar powers that the IPCC has in dealing with complaints with the police. Right now it seems that players can go the PFA, who may in turn issue a statement but again lack the necessary bite to actually force change in the game with regards to attitudes and sanctions. • To investigate on its own initiative, without waiting for cases to be referred by the police. This will mean that it can take immediate action, and be better placed to ensure that its investigations deal with all relevant concerns. • They have an Ombudsman-like power to recommend remedies in appropriate cases to ensure that there is a clear outcome for the complainant. • Police officers being required to cooperate with IPCC investigations, and to face disciplinary action if they do not. This replicates the position of other professionals, like healthcare staff. The IPCC has shown that it is possible to have an organisation that serves the public more than the body it is governing, granted the IPCC doesn’t always make the right decisions cough Mark Duggan cough but at least the powers it possess reach far enough to be able to have those standing rightfully accused brought to justice. I feel that a Kick it Out! type of organisation needs to be established by FIFA with powers ranging a lot further than Kick it Out! currently have. The FIFA Task Force Against Racism and Discrimination have set up initiatives that seem to be as useful and effective as a chocolate fireguard and it seems to me that these organisations merely pay lip service to the issues that arise rather than face them head on to help to fully eradicate this mind-set from our beloved game. For example, there are still hardly any black managers in the English game yet there have been so many great black players that it seems unfathomable that the same managers who have failed at previous clubs are given the opportunity to rebuild their managerial careers time and time again. Then there are the songs from the terraces. Romelu Lukaku and Park Ji Sung are two examples of songs that have disgraceful lyrics, but it seems all that happens is Kick it Out! issue a statement, the FA may back the statement but that seems to be the end of it. I am so glad that Romelu issued a message via his agent to ask the Manchester United fans to stop singing the song they made up about him but, I feel that with Park Ji Sung not being of African heritage meant that his song didn’t come in for as much scrutiny and that is a problem in itself. It gives the outlook that players of African heritage either complain more, or are more sensitive which only paints these players in a bad light and makes the job of being a professional footballer all the more difficult for them as I am sure they don’t want to be seen as the player who has made a complaint when the offender’s defence will be the well-used phrase ‘it was only banter’. This in turn gives rise to the keyboard warriors on social media to denigrate people like Eni Aluko unfairly and I believe in instances like this the English FA and Kick it Out! should be doing more to protect all the players and also the managers and coaches by providing a framework of rules and sanctions that lets everyone know where they stand, what is and isn’t acceptable. 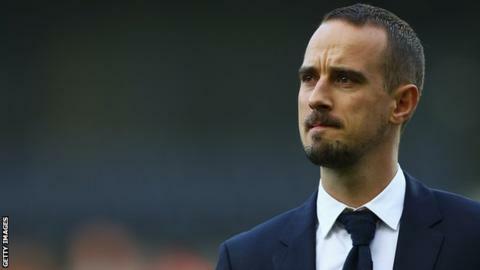 The fact that the English FA moved so quickly to remove Mark Sampson once they had learnt that he had been involved in a relationship with someone that he coached in 2014 but dragged their heels over Eni’s accusations shows that their priorities are not with tackling discrimination but more so brushing it under the carpet. Heads need to roll at the English FA in the wake of this case and people with a real desire to combat discrimination need to be placed in prominent positions within the English FA as well as arming Kick it Out! with more powers if we are to see any type of change within football that will hopefully spread to society at large, at least to the generations that will come after us as, judging by Twitter responses, certain leopards will not change their spots. 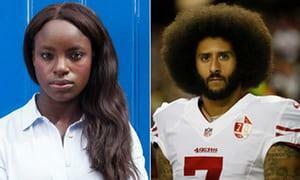 Eni Aluko is now the unwanted poster girl against discrimination as Colin Kaepernick is for the NFL. Both have been turned from victim to villain by not only the press but the club owners and governing bodies whose silence is the loudest noise in this farce. Discrimination isn’t solely a football problem, it is a society problem, but football can do a lot more to get their house in order as it seems that being from an ethnic minority background, or being a woman means that your problems are very much at the bottom of any list FIFA, UEFA, or the English FA may have. Kick it Out? I really wish they would try to.